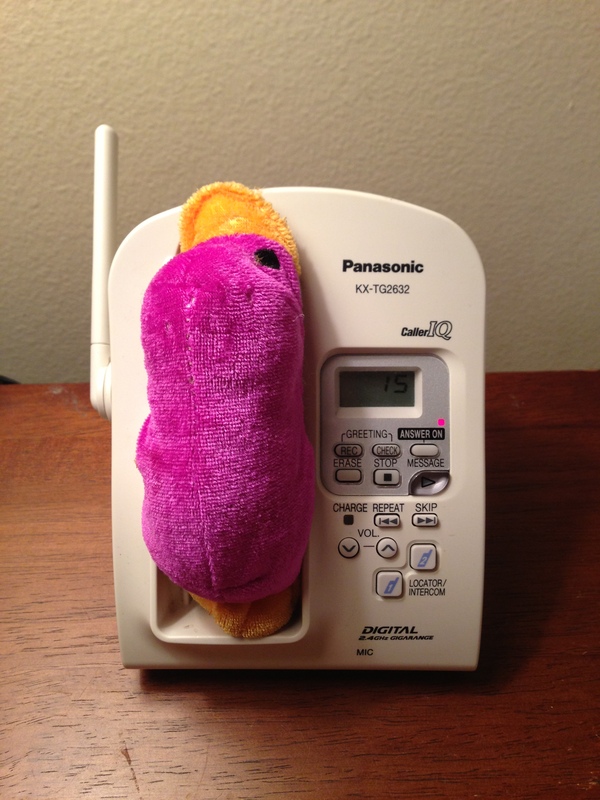 Exclusive phone cradle that doubles as a purple duck plushie bed, inspired by Katarina. 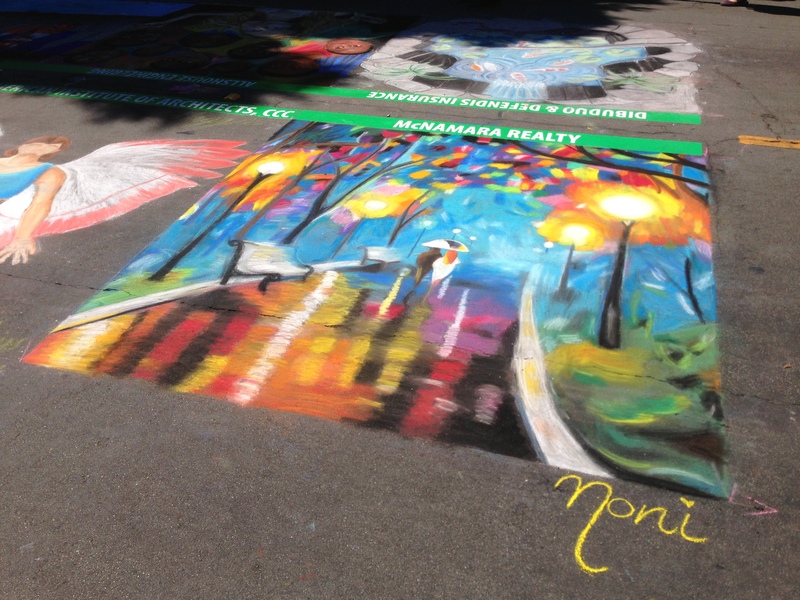 Last year around the same time, my family and I attended the I Madonnari Festival in downtown San Luis Obispo. For those who have no clue what it is, the “I Madonnari Festival”, benefits the Children’s Creative Project, a non-profit arts education organization. If you’ve ever seen those cool 3D scenes, this is where they have a few of those in addition to some various artwork from the young at heart to the i-travel-from-festival-to-festival-to-draw-masterpieces artists. This year Noni was lucky enough to be able to participate by being sponsored by my work and she got to try her hand (literally) at duplicating a work of art. 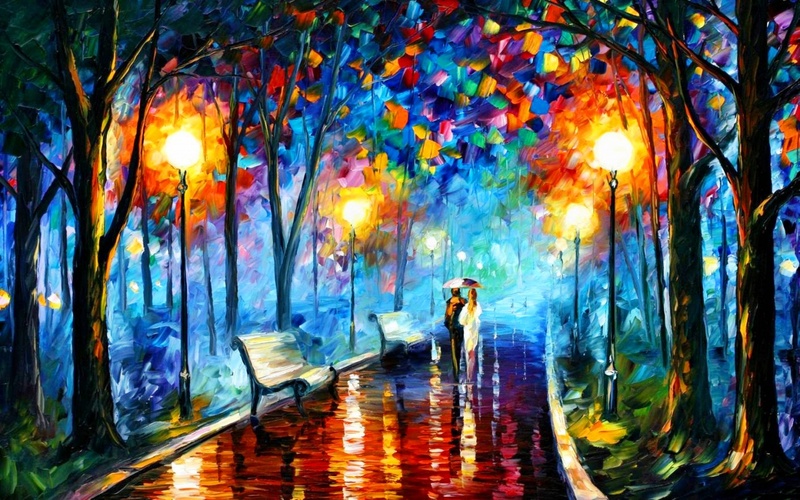 She decided on a painting by Leonid Atremov. This is the original. We actually had to trim the original to be a square in order to fit the square she was provided. She was definitely nervous and almost changed her mind on her selection but thankfully I didn’t let her change her submission. Being her mother and because I know best, of course, I knew that she was going to do just fine. The two day event took place on Saturday and Sunday with her finishing up her square around noon on Sunday. Here is the final product. As with anything in life, I want all of my children to strive to challenge themselves at anything and everything they do. Noni walked away with a great experience and was able to accomplish something that many of her peers have never participated in. I know that as time passes she will improve her artistic skills with each challenge she faces. She made me extremely proud and considering this was her first attempt at chalk drawing, she was truly amazing. Bravo daughter of mine, now if you could only put that effort towards cleaning your closet then my life would shine just as bright as the drawing (maybe).